Surprise, surprise! 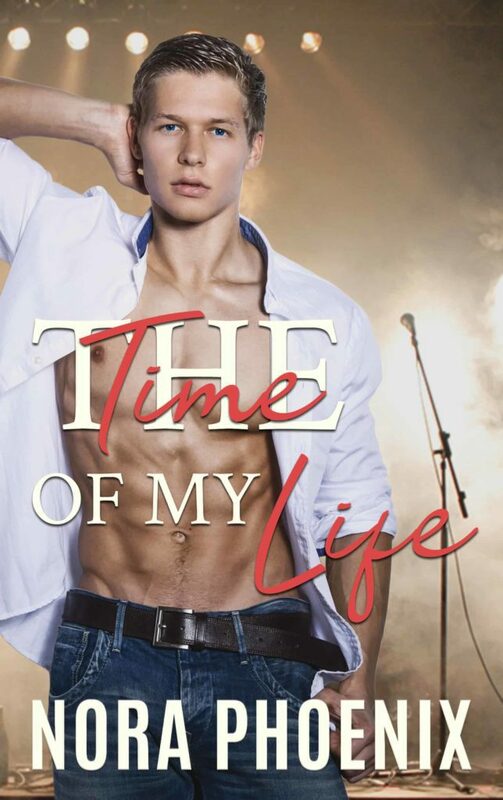 My stand alone romance The Time of my Life has gotten a fresh cover. As much as I loved the old cover, it didn’t communicate the genre and heat level of the book well enough. I did some tests and experiments, and most readers who came across it who didn’t know my name, didn’t associate it with a steamy MM romance. So it was time for a new cover. Vicki Brostenianc from Let’s Talk Designs did a fantastic job creating a new cover with a model that personifies Denver, one of the main characters. This is Denver to a T, and I love this cover! To celebrate the new cover, The Time of My Life will be on sale for 99c this weekend in the US and the UK. I’ll do a 99c sale in other stores at a later date, I promise. If you haven’t read this steamy standalone MM romance yet, you’re missing out! Two men meet at a TV singing competition (kinda like The Voice). Denver is sunshine personified, but at the same time still struggling after surviving an abusive ex. The last thing he wants is another boyfriend…until he meets Judah. Judah is shoved deep into the closet, courtesy of his strict Jewish upbringing. He’s broke, about to hit rock bottom, and this contest is his last chance. But when he meets Denver, he can’t deny who he is anymore. When Denver’s past comes back to haunt him, Judah has to make a choice: winning the competition or winning Denver’s heart. The Time of My Life is an emotional, angsty MM romance with a first time gay, a hint of suspense, a dash of kink, and all the feels. You can grab it now from Kindle Unlimited or wait till this weekend to buy it on sale! Wow. Thanks for this bargain, Nora. It sounds fabulous. One clicked! Wot, thank you so much! Hope you’ll love it.